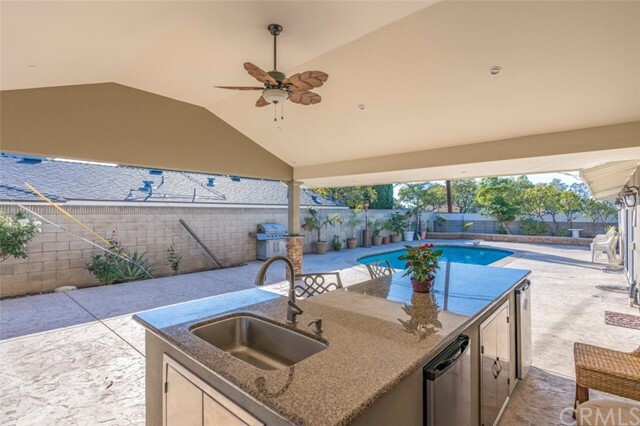 Wonderful single family home that is ready for your next outdoor bar b que and pool party! 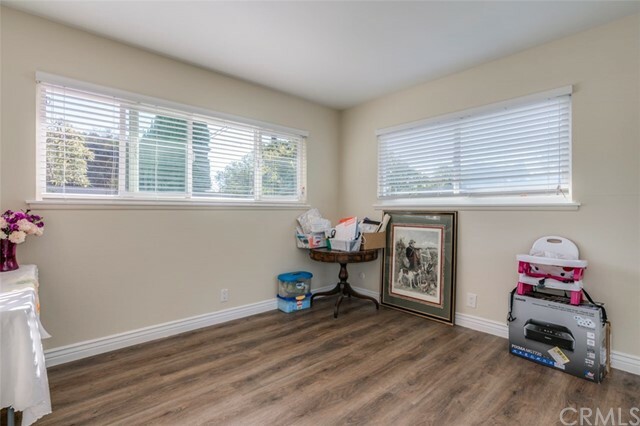 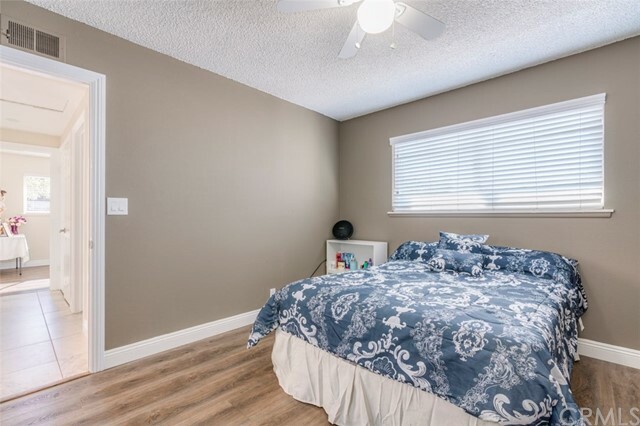 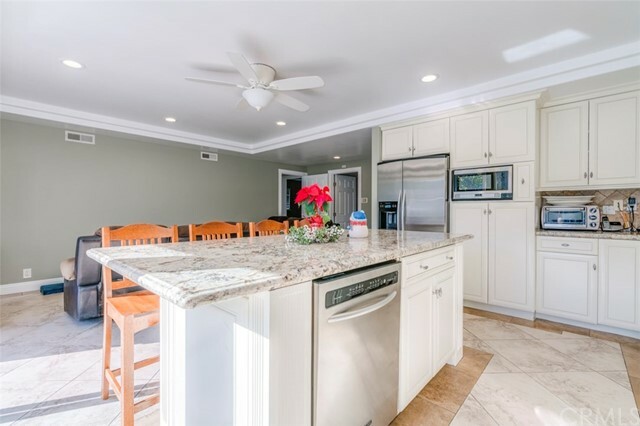 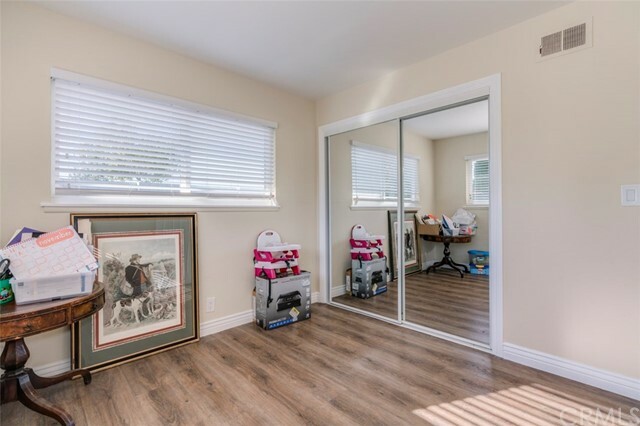 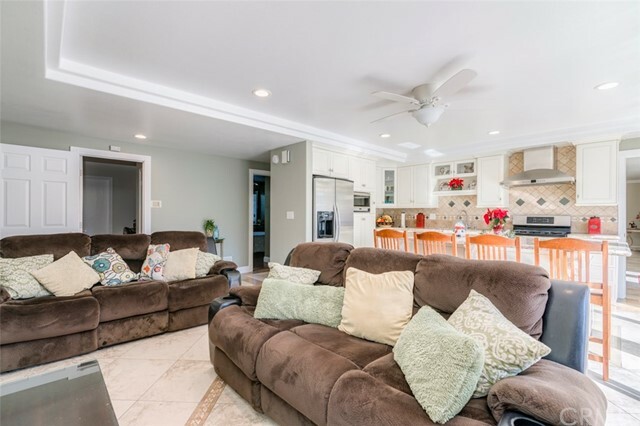 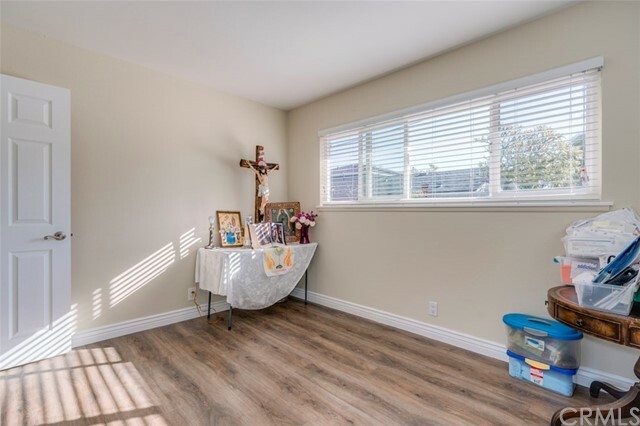 Updated home has almost 2,200 square feet, plus an amazing completely covered 20' x 20' brand new outdoor pavilion, complete with built in bar b que, refrigerators, bar seating and more. 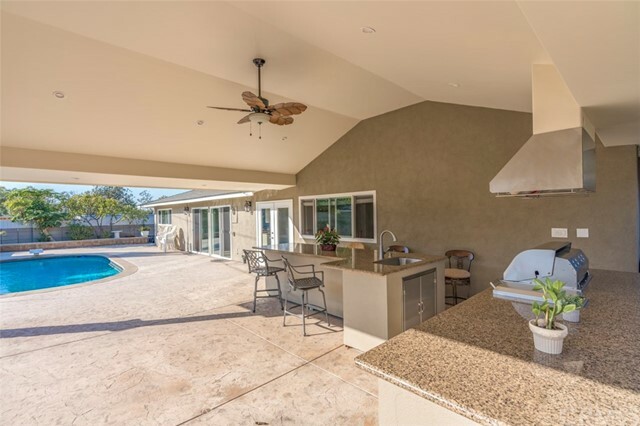 The recently redone pool and new pool deck beckons the guests to jump in for a swim. 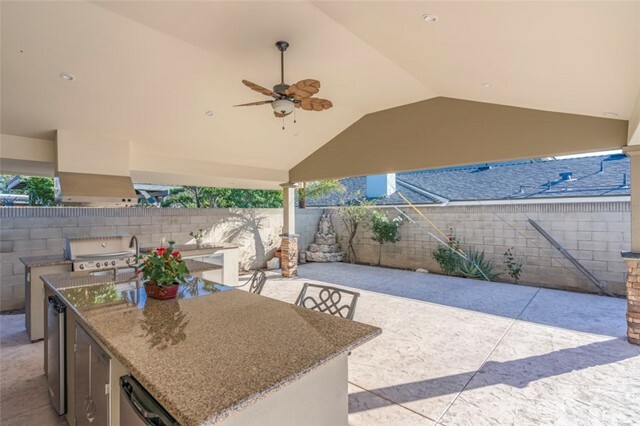 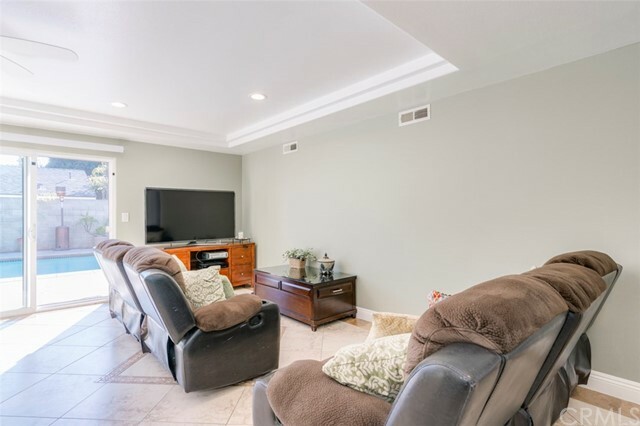 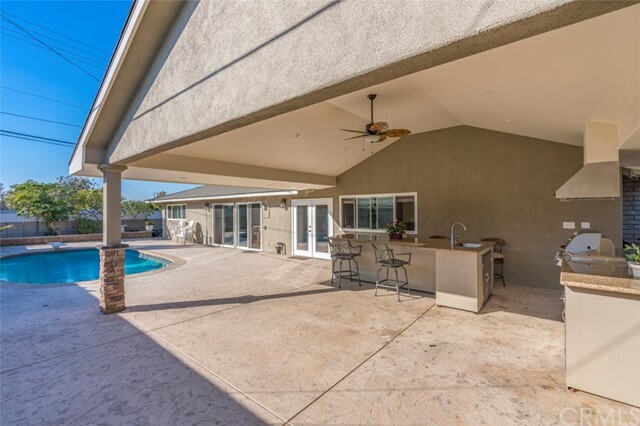 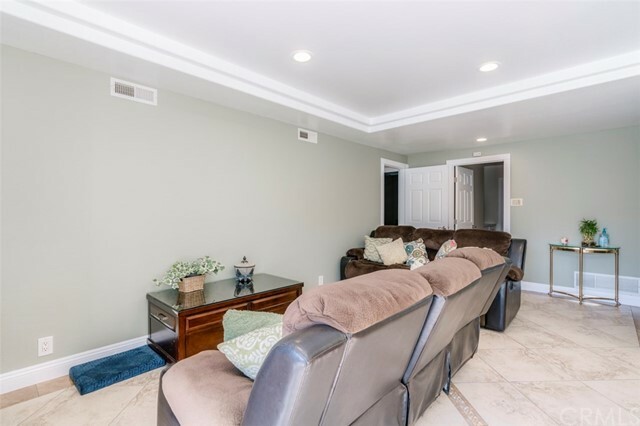 Double door entry, custom tile flooring throughout the living area, very large living room/ dining room which has all glass French doors opening to the entertainment and backyard. 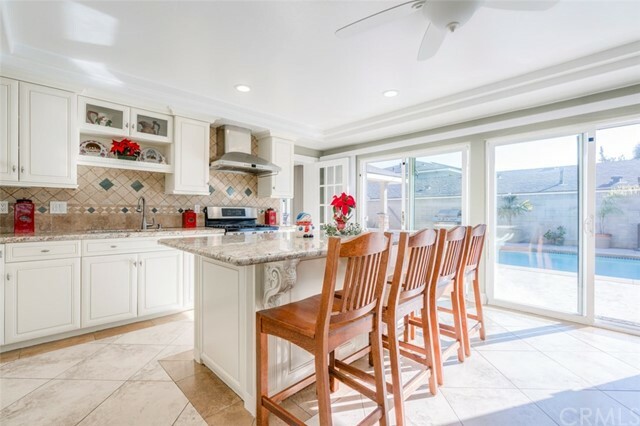 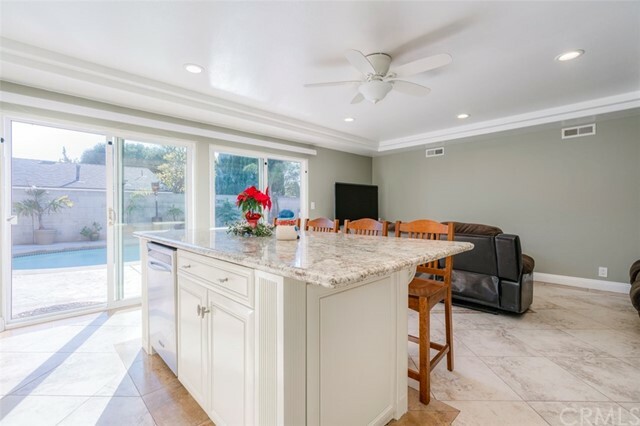 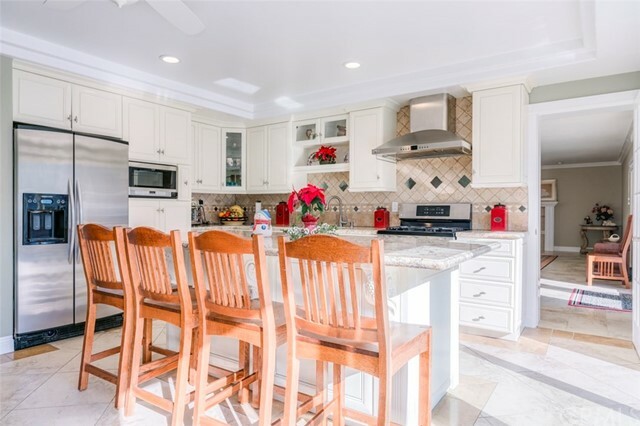 The kitchen has giant island with breakfast bar seating, granite counters, updated cabinets. 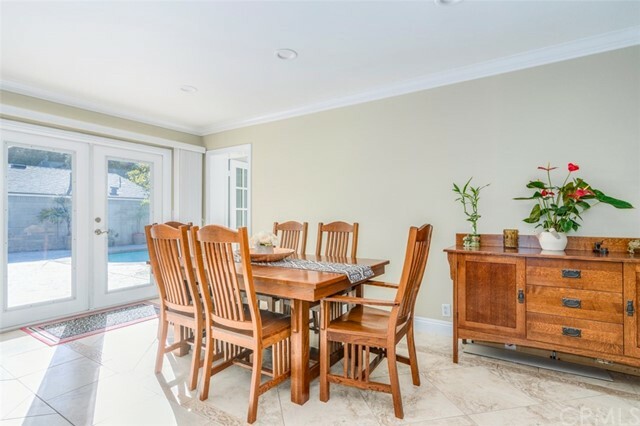 French doors from the kitchen open to the pool. 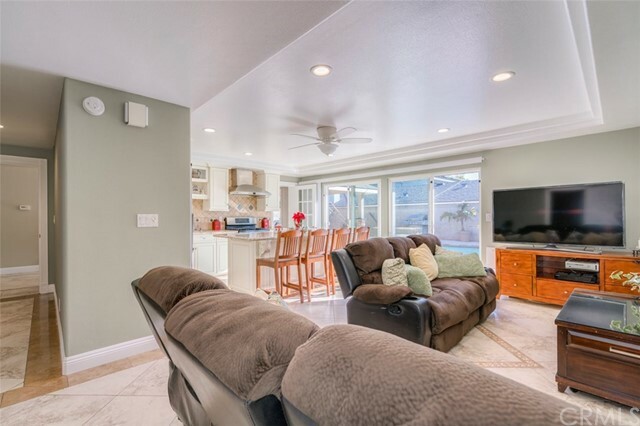 Family room is cozy next to the kitchen. 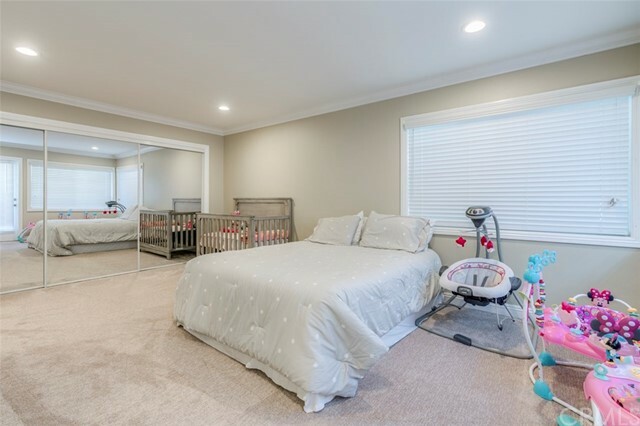 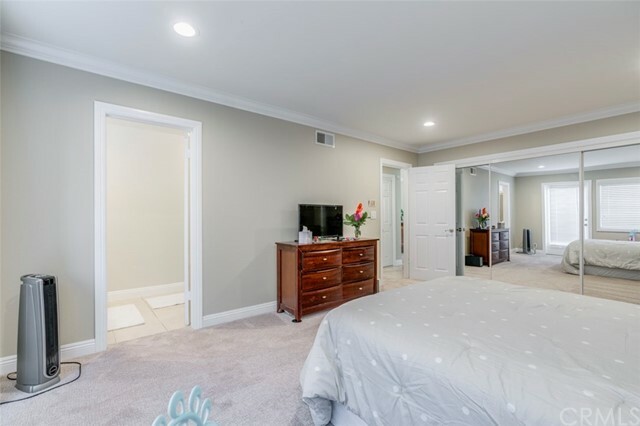 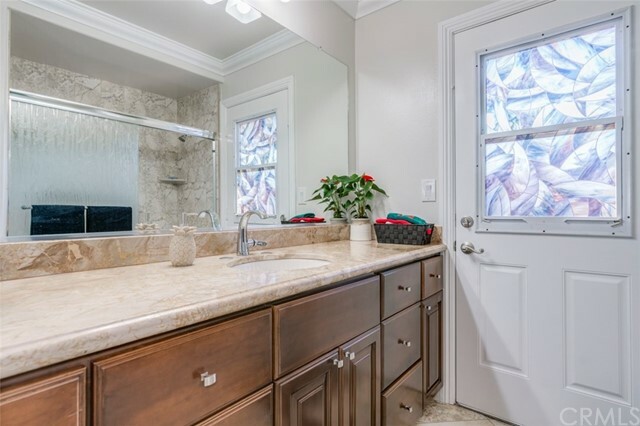 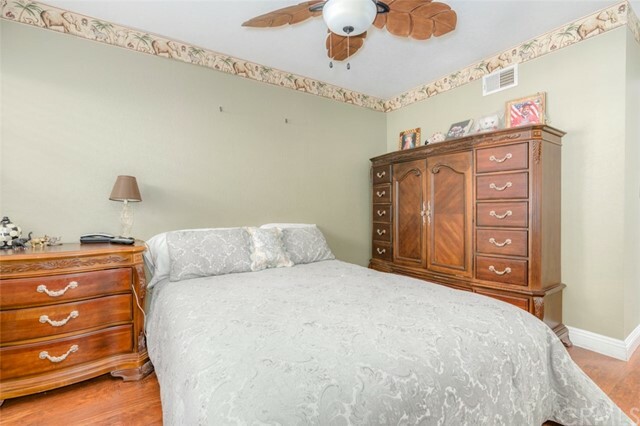 Master bedroom on one side of the house with updated vanity, tub/ shower combination. 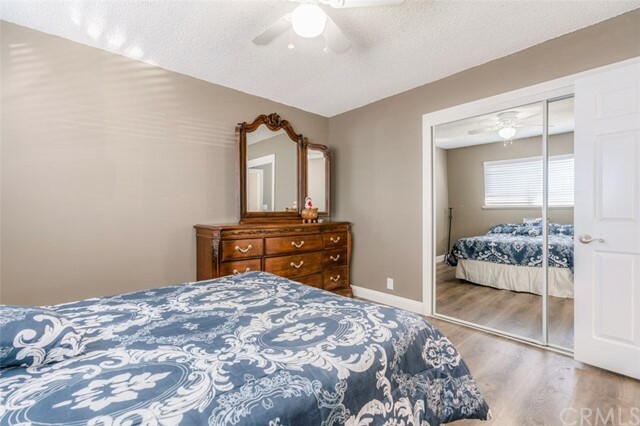 The other three bedrooms have mirrored closet doors and laminate flooring. 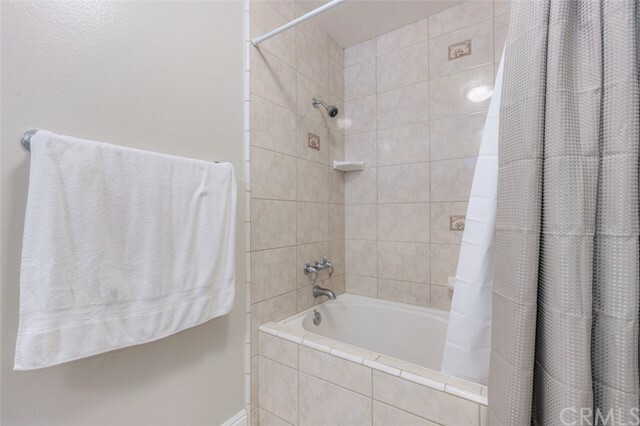 The hallway bathroom is spacious, has door to the backyard for pool guests, with another tub/ shower. 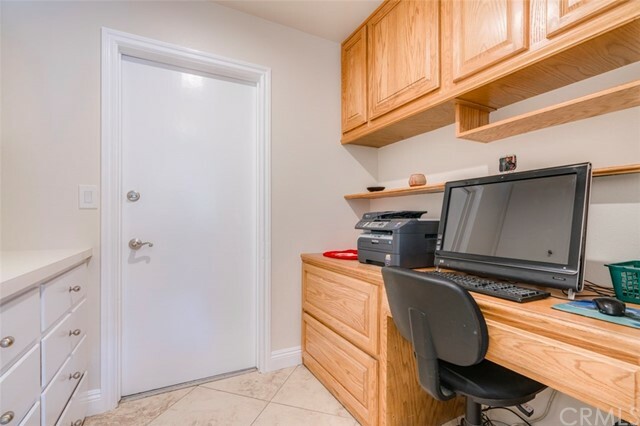 Small office desk area going to the oversized two car garage providing lots of storage space. 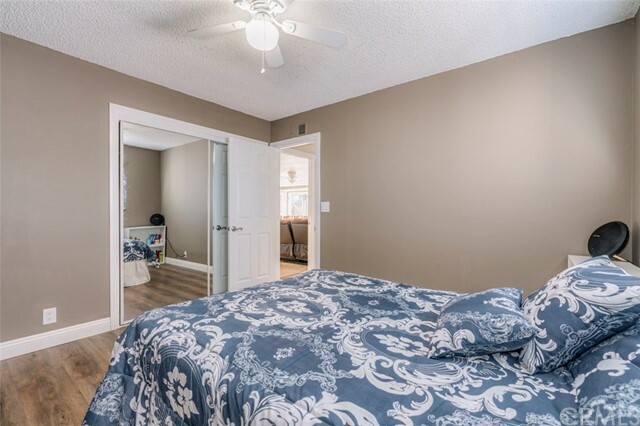 This home has a new roof and has been freshly painted inside and outside. 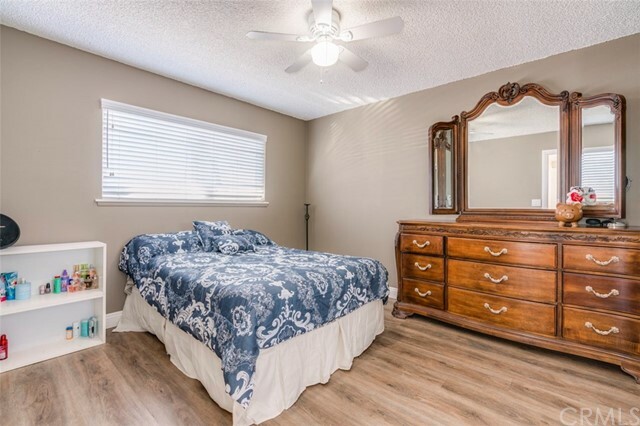 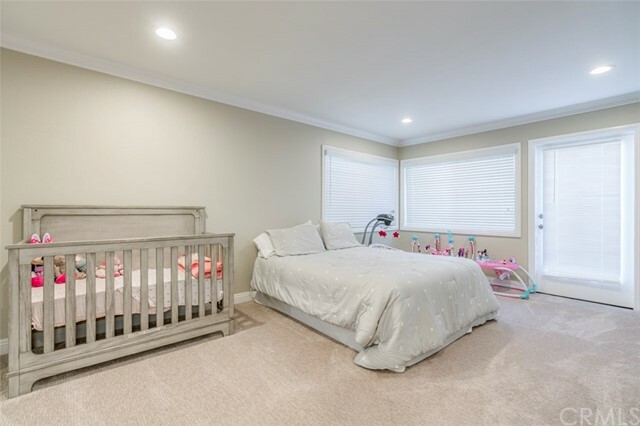 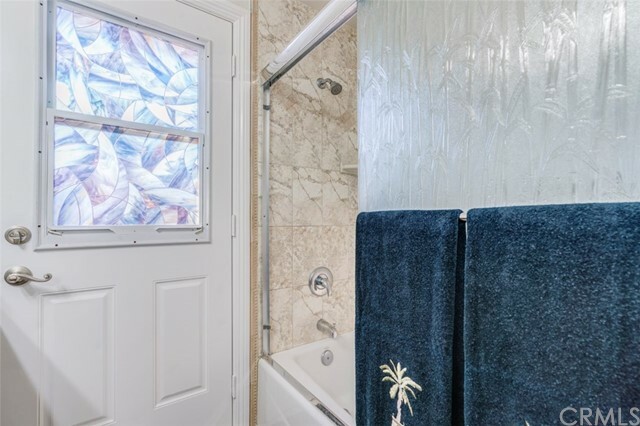 Very nicely appointed with crown molding and large baseboard throughout. 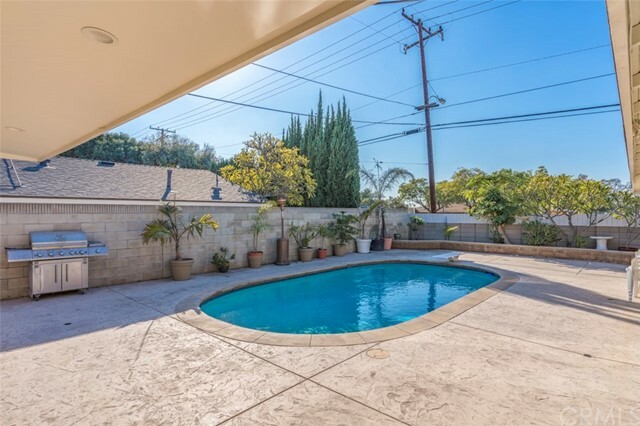 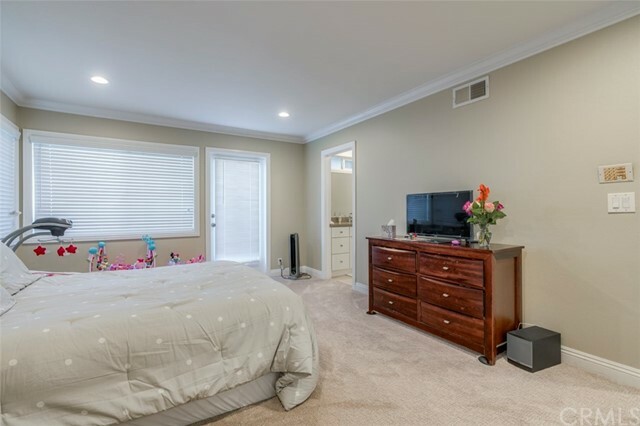 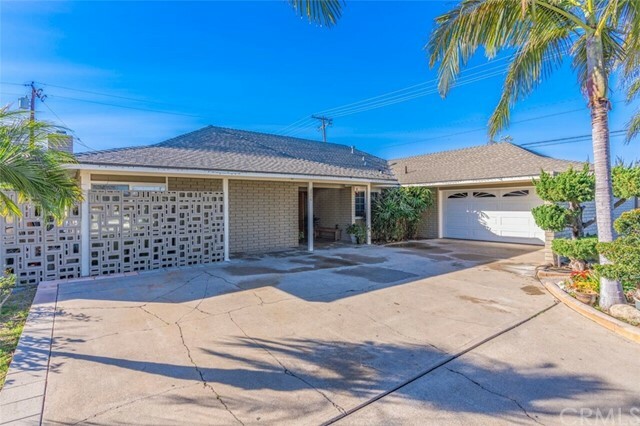 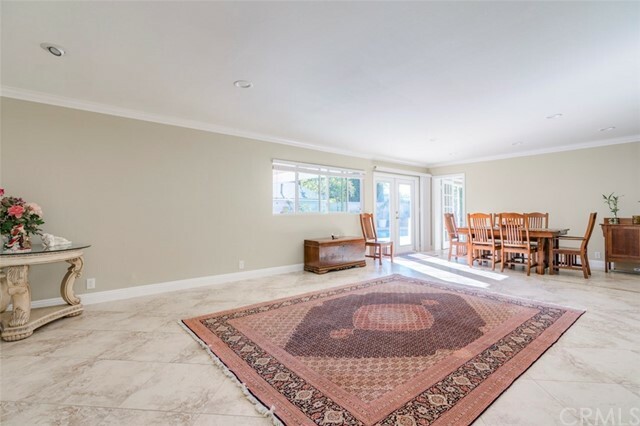 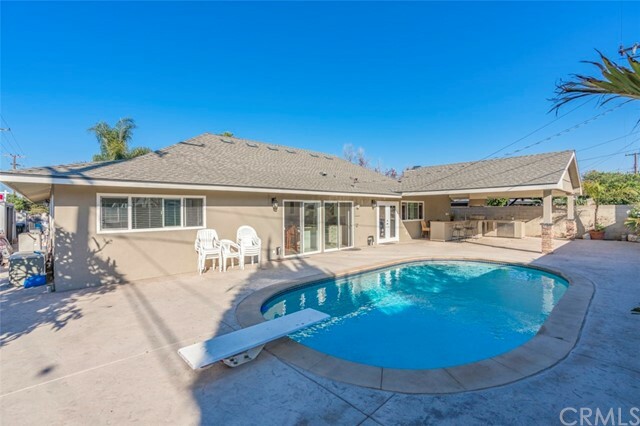 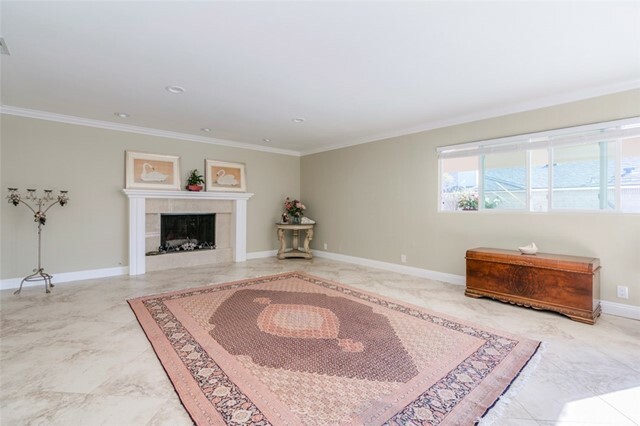 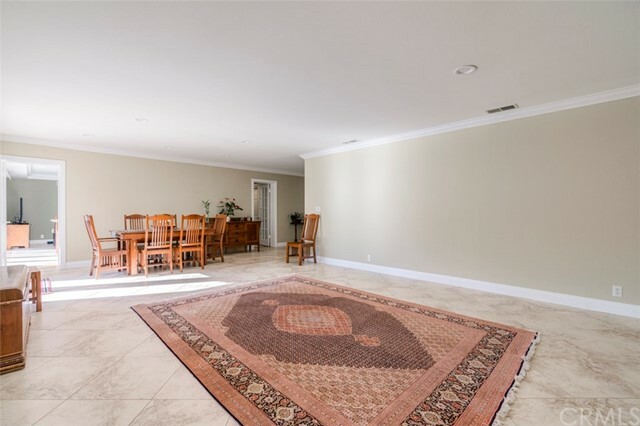 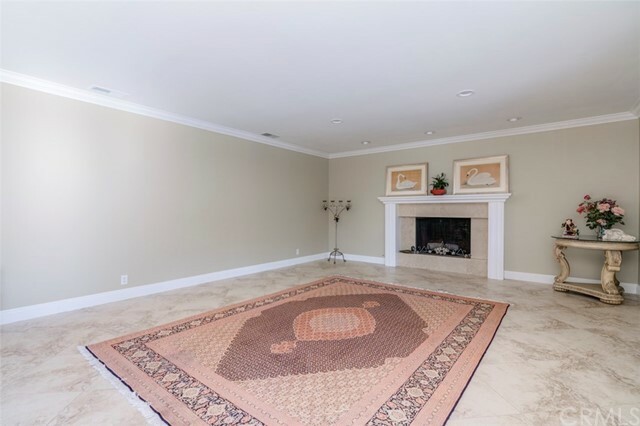 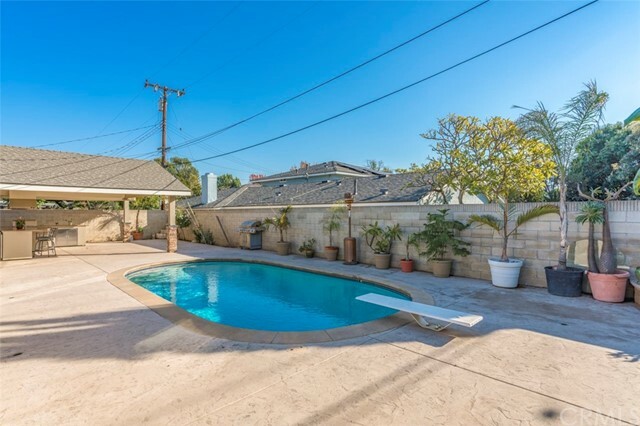 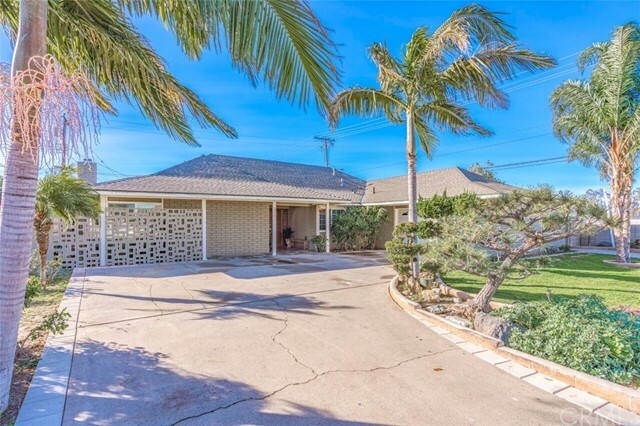 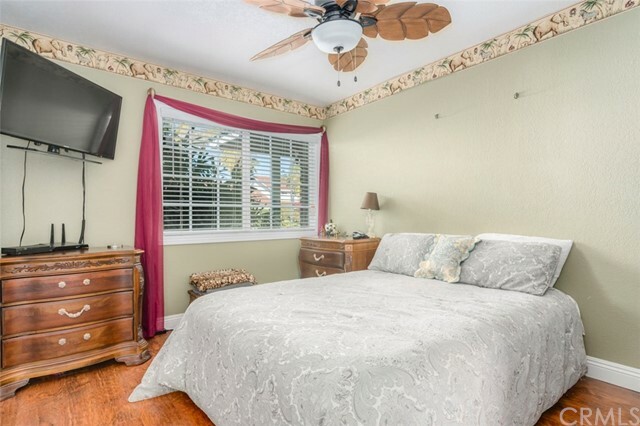 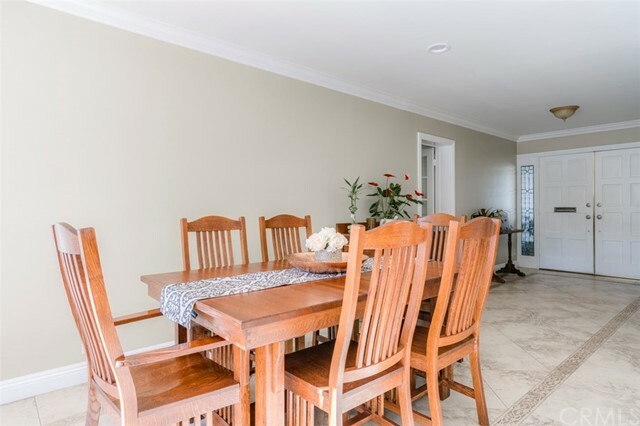 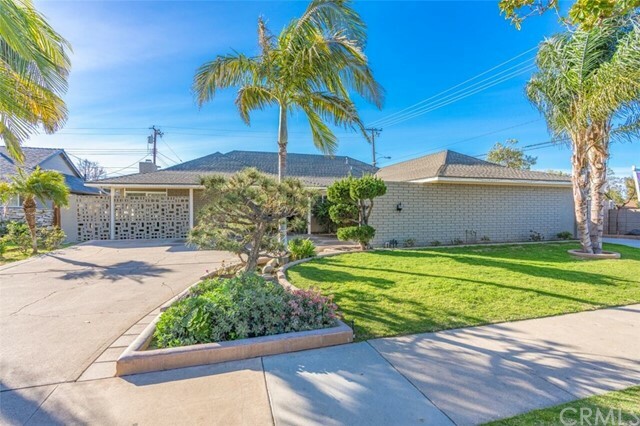 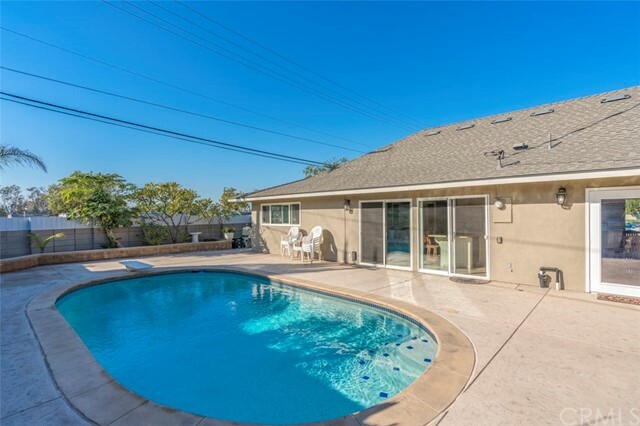 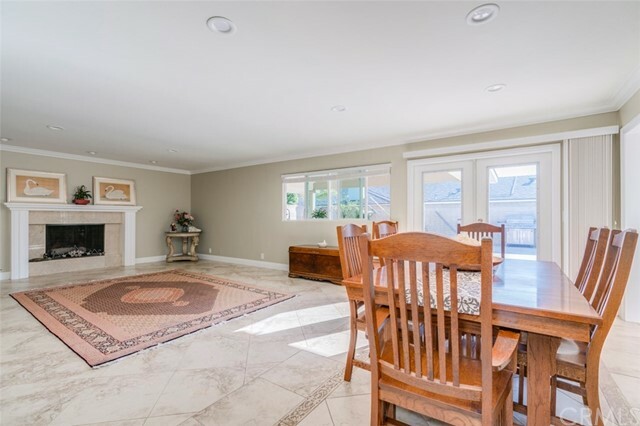 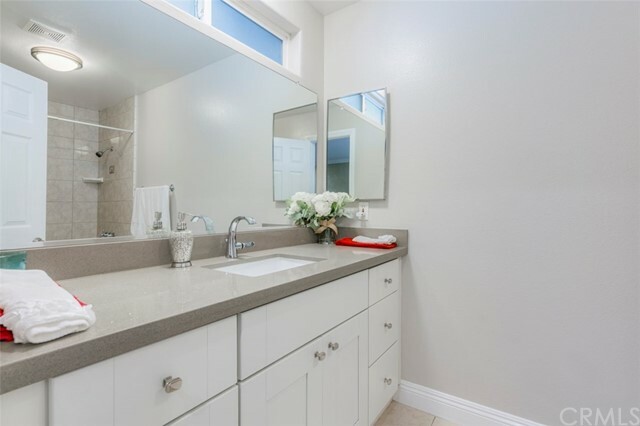 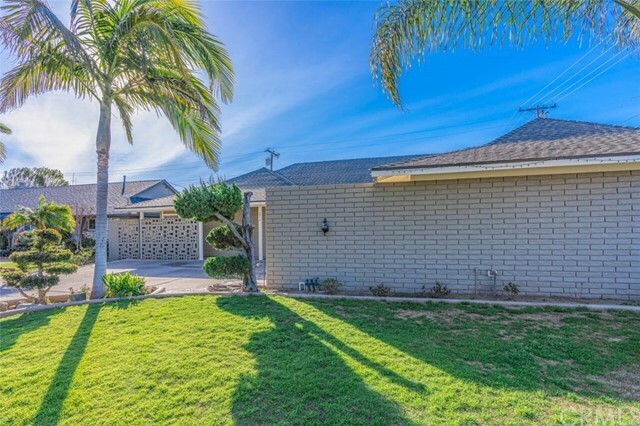 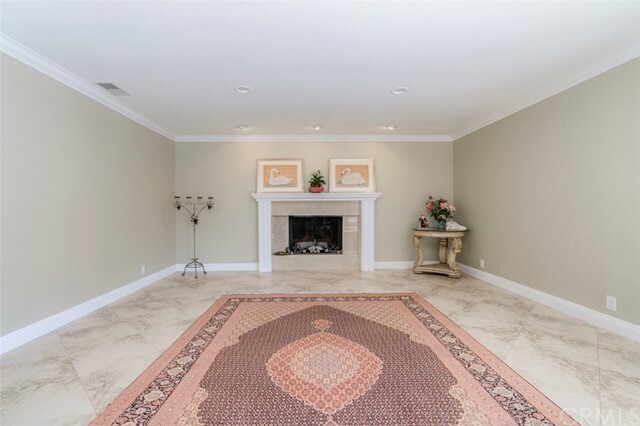 Conveniently located close to shopping, schools and fwy. 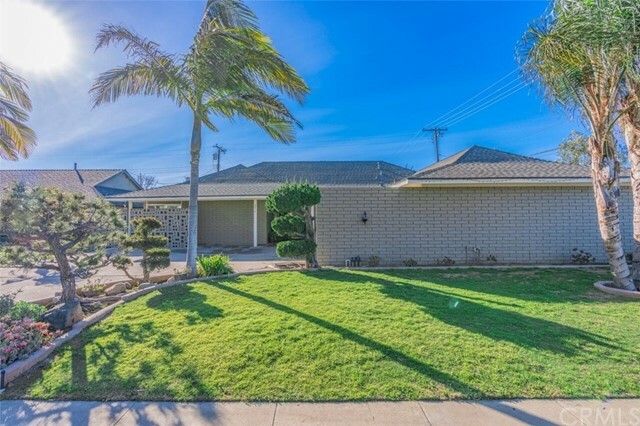 Close to Old Town Orange. 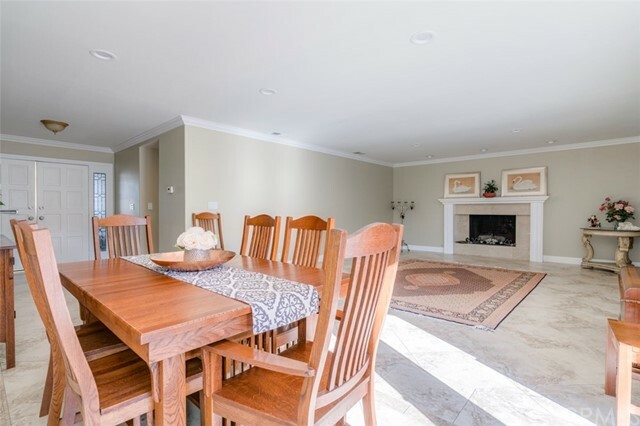 Bring the family and send out the invitations for your next gathering of friends.